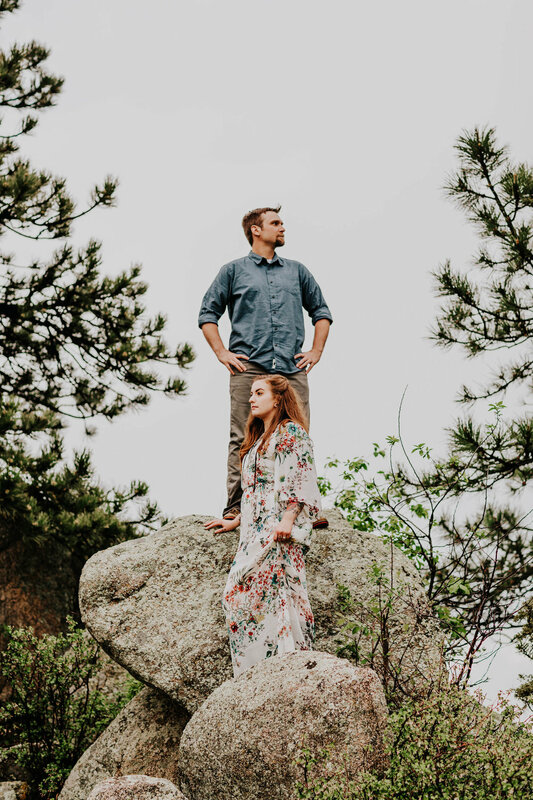 It's crazy how fast time flies, because these two are officially getting married today in gorgeous Golden, Colorado! 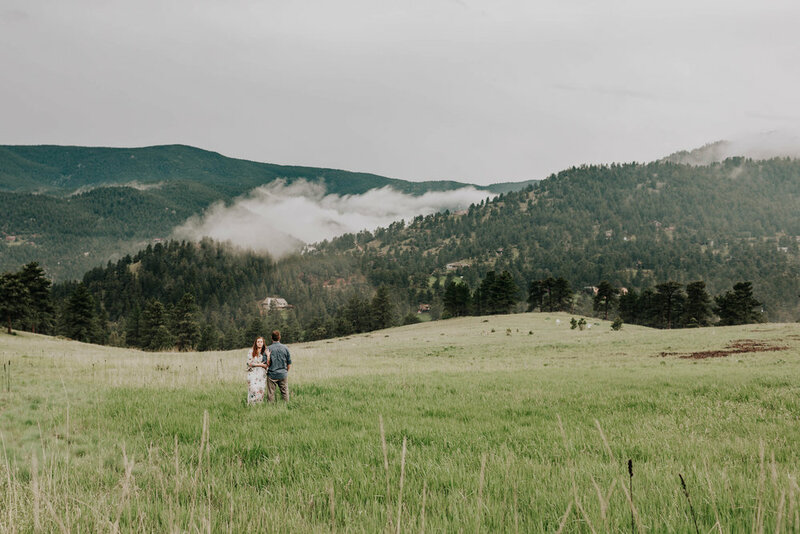 Ed and I are beyond excited to be able to capture every detail of their beautiful wedding in the foothills, from the sweet little twinkling lights strung up above their ceremony site to the views of the Rocky Mountains in the park up the street. When we met Shelby and Andrew, we could tell they were pretty dang awesome. 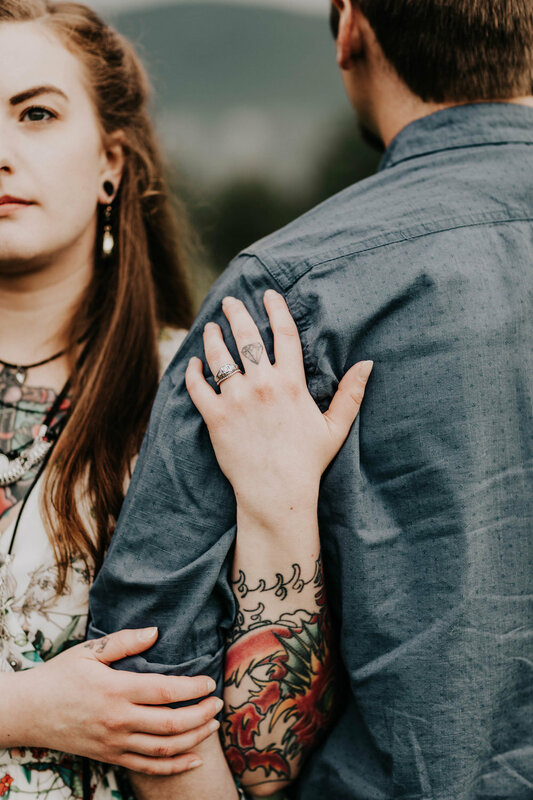 But after their engagement session, we can confidently say these two are total rockstars. 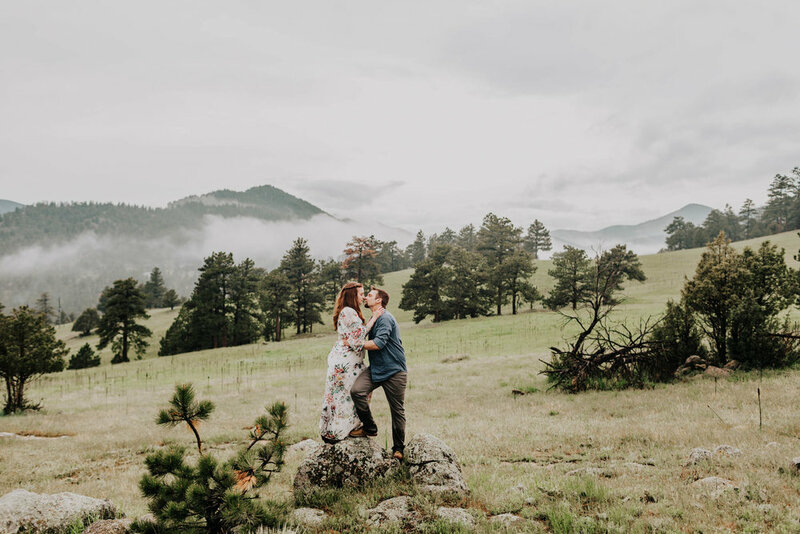 The day of their engagement session, intense thunderstorms were taking over Boulder. 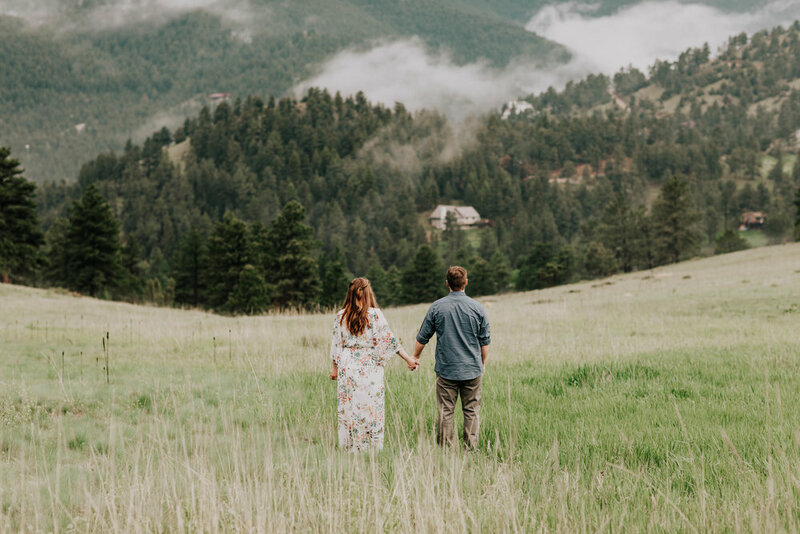 In particular, the spot in the foothills that we'd selected for their shoot was being hit pretty badly. But with afternoon mountain storms in Colorado, they're here one moment and gone the next. So these two, being the adventurous souls that they are, agreed to drive up to the spot and see if maybe the weather would improve. As luck would have it, the rain stopped right as we got into the mountains. The only remnants of the storm were the most stunning clouds and fog weaving their way through the trees. Honestly, the weather could not have been more gorgeous. P.S. We pride ourselves on taking killer photos in some of the coolest, most adventurous places. Think we'd be the right photographers for you? Give us a holler.